While the E12 saddle bags are a fine choice for day rides I need more storage capacity for multi-day rides. 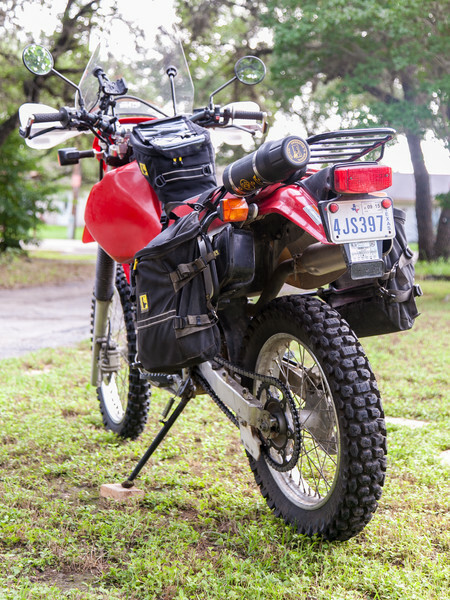 I have a set of Wolfman Monarch saddle bags that I use on my Husqvarna TR650 and due to their larger size they are a much better choice for longer trips. 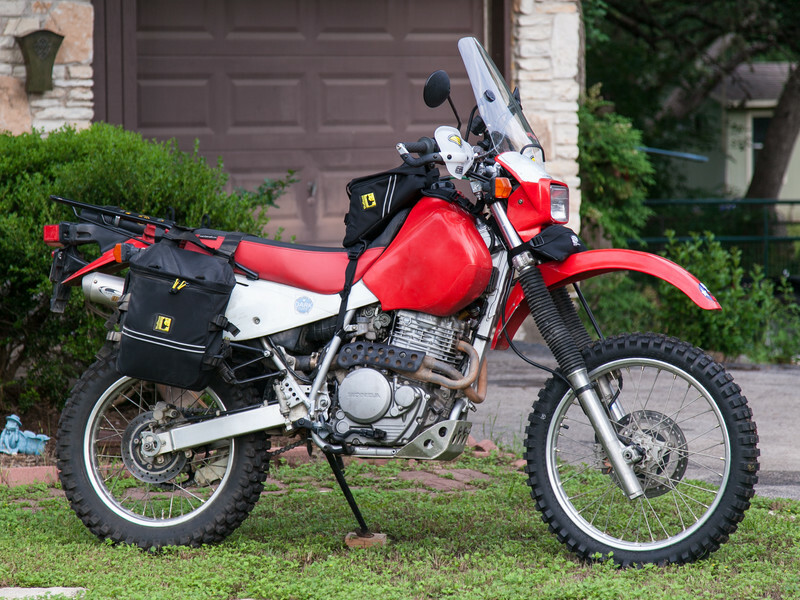 All the XRL needed was a side rack and I could use the Monarch bags on both bikes so I opted to install a set of Happy Trail’s SL side racks. The racks mounted fairly easily but the supplied bolts were too short to use with the top rack. A trip to Fastenal solved that problem and I quickly completed the installation of the racks. 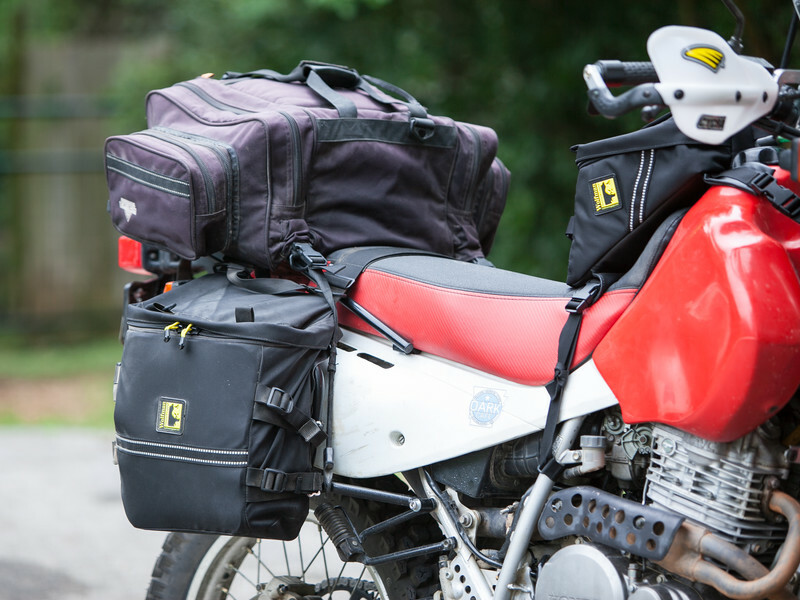 The Monarch bags fit nicely on the racks and there was absolutely no drama with either the bags or side racks during a rugged 7 day dual sport ride in the mountains of Mexico. The Monarch bags are large enough for a 3-4 day warm weather ride. If you will be riding longer than that, riding in cold weather (requiring bulky cold weather gear), or carrying camping gear, then you will likely need more capacity. I have a Nelson Rigg tail bag that I’ve owned for years and it provides the extra storage space I need for longer rides. You can see it mounted in the picture below. 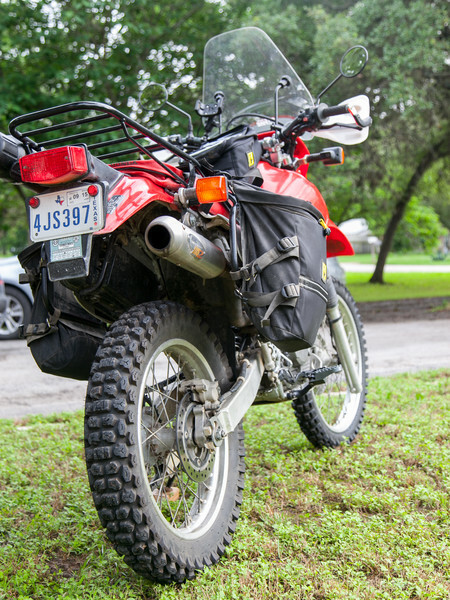 During a 7 day dual sport ride in Mexico I carried about 50 lbs of gear on the back of the bike. As you may recall, I had the subframe of the XRL reinforced due to other owners reporting issues with it breaking. It appears to me that the Happy Trail side racks add some additional reinforcement to the subframe from the way the racks mount to the frame at the passenger footppeg. 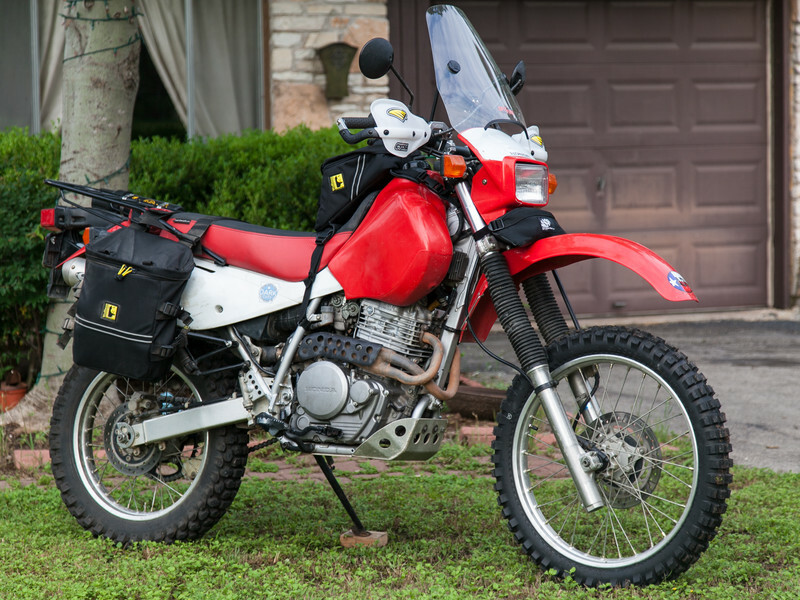 In any case, the subframe held up just fine during some fairly rugged dirt riding in Mexico so at this point I believe the subframe and luggage issues are solved. Now it’s time to start working on performance mods. Hi! Thanks for the project update. I just purchased a used 2008 XRL and I am in the process of customizing it. I really like your windshield. 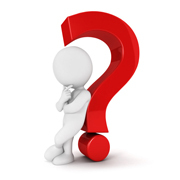 What make and model is it? Are you happy with it? Thanks. The windscreen is the Slip Streamer Spitfire. It does a great job of managing the wind – I recommend it for anyone who wants an effective bolt-on windscreen. However, I no longer use the Spitfire. The challenge I ran into was that I was not able to find a secure way to mount the windscreen on my oversized “fat” handlebars. The screen bolts easily to standard size (7/8th) handlebars but I couldn’t find a mount that worked with the fat bars. So I ended up buying a permanent windscreen from Turbo City. It works great. The bad news is I bought the last one before the owner of Turbo City retired and closed shop. If I were buying today I would figure out a way to mount the Spitfire to my fat bars. I prefer the Turbo City windscreen but since it is not available I would go to the Spitfire and make it work.